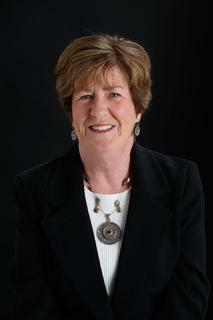 I joined Seaport Realty Group after a three year association with another South Boston Real Estate Company. Having moved to South Boston from Scituate, Mass seven years ago I thoroughly enjoy all the City life has to offer. My Real Estate career encompasses twenty plus years in Real Estate Sales primarily on the South Shore and now South Boston. More recent experience includes working as a Real Estate Paralegal for a law firm in Needham and Asset Manager for a portfolio of foreclosures nationwide. I also have an Associates Degree in Dental Hygiene…quite the career change! I pride myself on honesty and integrity. Communication and experience is key in this business. My daughter, Jill, recently purchased her first condo here in South Boston. She works for State Street Bank and has just graduated from the MBA program at Bentley College in Waltham. I am a licensed Realtor and a member of the National Association of Realtors, Massachusetts Association of Realtors, MLS, LINK and ABR (Accredited Buyer Representative). Most recently I received my Loss Mitigation Certificate (LMC)from the Massachusetts Association of Realtors. This was developed to educate Realtors on all issues surrounding foreclosure, short sales, bank owned properties and auctions. I’m always happy to discuss any of your Real Estate questions or needs! Updated: 24th April, 2019 6:04 PM.